Small spaces come with unique challenges, and it is the bane of each home owner to go from a tight squeeze to a favorite hangout. However, the compact square footage can also be a blessing as it nudges you to clear the clutter and come up with clever designs you may never have thought of otherwise. 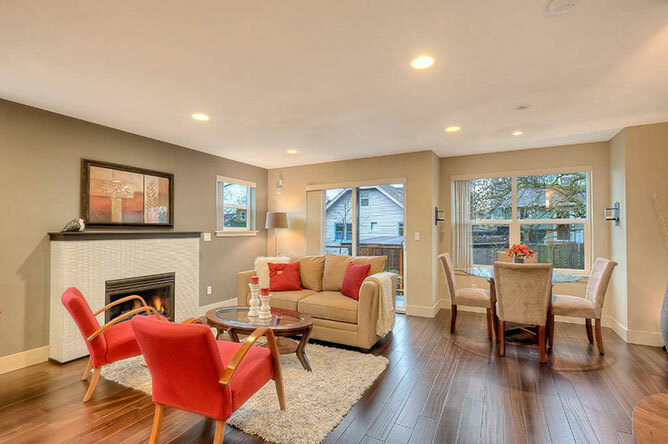 Here you will find 6 creative ideas on how to decorate a small house to make it look bigger and learn about convenient home design software that can help you realize these ideas. One of the easiest home decor ideas for small homes is to properly arrange your furniture as it can make or break space. Moving furniture to the center of the living room will make it look much cozier and encourage your guests to carry on a conversation. The main rule is to pull furniture away from the walls even just a few inches as it creates an illusion of greater depth and more space. Remember that pushing all the furniture items against the walls will not make your house feel bigger, it will be more like a seesaw with only one person. It is not a secret that mirrors can make small spaces appear larger and more open, and they are absolute must-haves for spaces like the entryway or the bathroom. 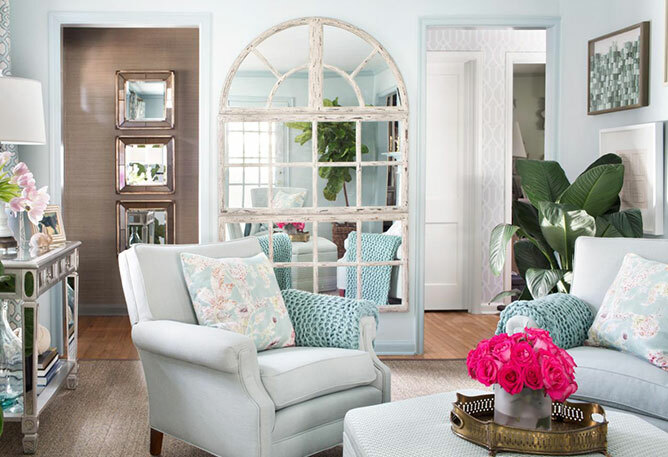 Decorative mirrors can also work visual wonders when it comes to expanding the space of your house. They reflect light to give the illusion of more room, plus they add a bit of sparkle. Decorative mirrors often feature peculiar forms which do not really make sense from a practical point of view but seriously improve the interior with their intricate details. Keep in mind that the simpler is the better. That is why you should use window treatments to your advantage. In order to make the ceiling look higher you will need to place draperies really close to the ceiling below the crown molding. To widen windows visually, extend curtains beyond the window frame. Choose fabrics that match the walls as it will additionally enlarge the room. For example, simple drapery panels will soften the architecture of your house without crowding the space. When considering home design ideas for small spaces, think of bright colors as powerful tools to maximize your living space. It can be a single wall painted with crimson or turquoise, as well as some cute accessories spreading around your interior. Small sophisticated details like vivid cushions or armchairs will bring in dramatic colors and serve as attention-grabbing backdrops. In order to achieve a really stunning result, you can play with various colors in your design since subtle and gradual color changes usually work best to maintain openness. If you are not ready to make big changes in your home interior, you can still expand it with the best-suited furniture items. Most modern-day wardrobes, tables and couches look rather enormous and will not help you save precious living space. 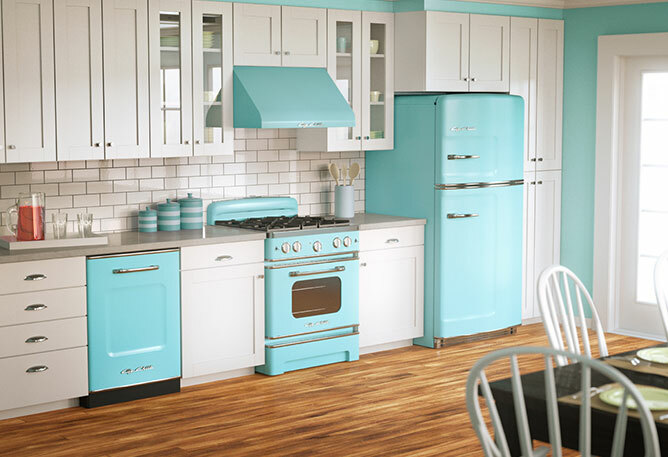 That is when vintage furniture and appliances come in handy. They have a smaller footprint and add a decorative charm to your overall design. 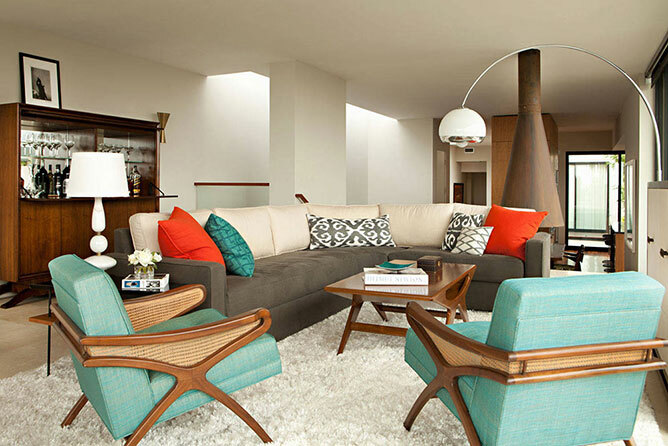 What is more, they serve as a welcome pop of lovely colors and go together with other bright interior highlights. If you want to open up some floor space in your home, the easiest solution is to invest in small furniture. However, there are also more sophisticated interior design ideas for small house that encourage you to use double-duty furniture. It means that everything has to have more than one purpose. For example, utilize the area under the stairway and make an additional closet there. Make the benches in your dining room provide storage space under their hinged lids or turn the lower part of your couch into a bookshelf. 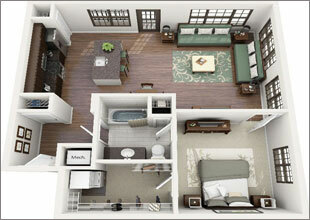 Plan the Interior Changes with Proper Software! After you have thought about your needs and the desired result, it is high time to try how these interior design ideas for small homes will look in reality. 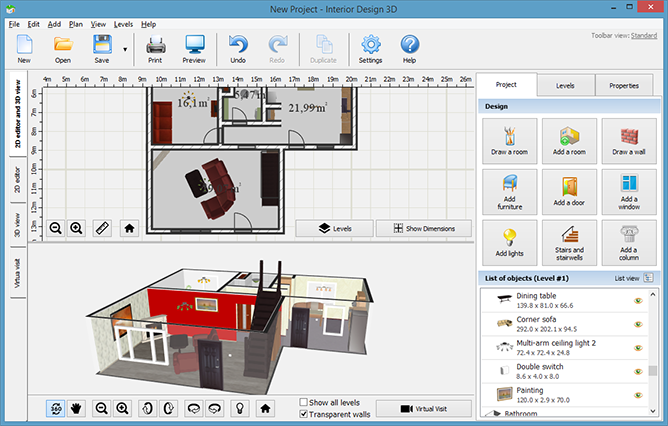 With the help of a convenient house remodeling program, you will be able to import the existing floor plan to the software and make some virtual changes before you bring them to life. An application like Interior Design 3D will provide you with all the necessary functions and tools for repositioning your furniture items or altering wall colors. Get started with the program, and you will be able to maximize your living space, add new storage places and arrange your furniture to meet specific needs. Tune into your home’s attributes, and make it look bigger and more attractive!